I SWEAR one of these days I'm going to be on time getting a post up for #TheLacquerRing. I have no problem getting my nails done, but the time it takes to edit photos/write the post totally screws me when I have so much work to do. Hopefully, I'll get in a groove soon and figure it out. Fingers crossed! So anyways....we did Chevrons for the latest #TheLacquerRing prompt. I had an epic failure on a thought out fancy design, so defaulted to simple Chevron Stamping over a fun base. Speaking of fun base, how awesome is Baroness X Ectofizz? 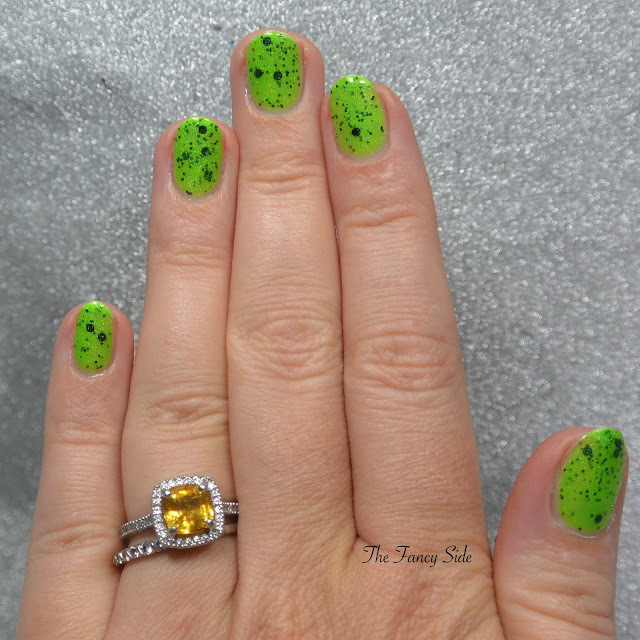 I adore the green slime background filled with the black glitters, as well as a hint of holographic shine. I then went in with Painted Polish Midnight Mischief and Uber Chic 2-02 for the chevrons. Simple and perfect and easy to do when your reeling from a nail fail. 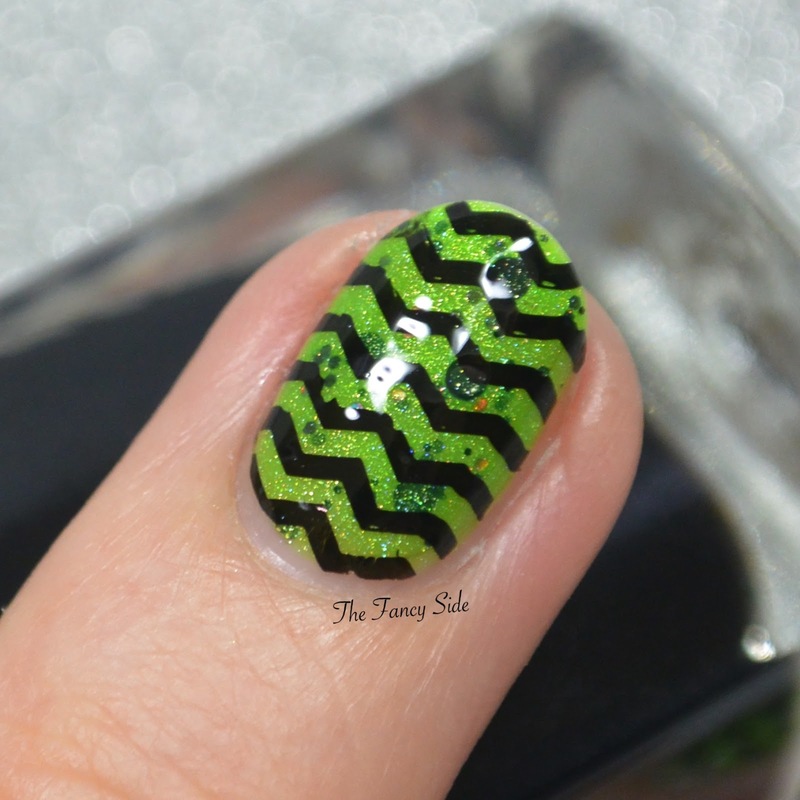 Be sure to check out all the other ladies who did Chevrons as well. There are some really great designs! OOOooo, such a cute polish!